The end of the year posts are coming, I assure you. There’s still the retrospective, resolutions, and uncapping the memory jar. Let’s just say that I am optimistic about the new year and that is coming from me. Where are my Daria glasses? I almost don’t want to look back at all. 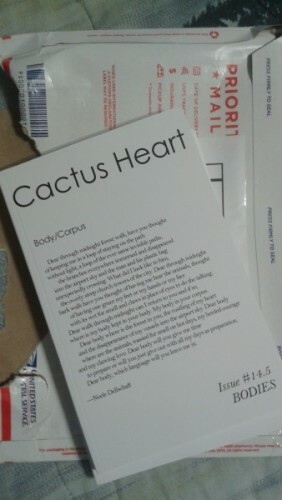 Although it is nearly the end of the year, I just wanted to let you all know that my short story, “Dysmorphia,” is featured in the BODIES issue of Cactus Heart. You can order a copy for yourself here. It’s quite a diverse offering. You will find many writers across the LGBTQ spectrum, voices from the margins. Stories about self-image, gender, coping with illness. 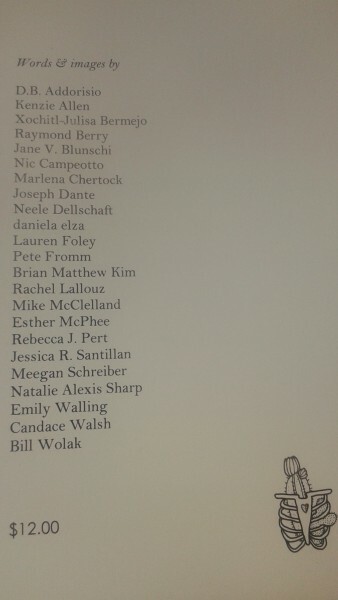 I’m happy to be in such good company. Permafrost also wants to publish a poem of mine in an upcoming print issue. It’s dedicated to a long-time online friend who quietly suffered through drug addiction. I’ll post that when the issue is out. If you’d like to follow, I now have an Instagram account: @lettersforburning. My sister made me get it. There will be no letters on fire, but you can look forward to books, book quotes, and probably food.